There are three major types of asphalt surfacing, characterized by a mixture of bitumen and stone aggregate. These are: Dense Graded asphalt (DGA); Stone Mastic Asphalt (SMA) and Open Graded Asphalt (OGA). Asphalt surfacing differ by the proportion of different size aggregate, the amount of bitumen added and the presence of other additives and material. 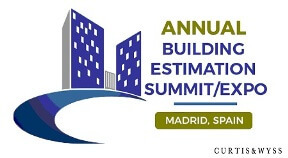 The first aim of this study is to provide an updated systematic review of the evaluation of stone mastic asphalt in construction. This paper entitled “Stone Mastic Asphalt.” aims studying Objectives, construction material composition, economy achieving by using waste materials and advantages over the conventional mixes. Accurate quantification of aggregate gradation is essential for a better understanding of its effect on the load-carrying capacity of an asphalt mixture and Volumetric analysis of the aggregate. study investigates the benefits of stabilizing the stone mastic asphalt (SMA) mixture in flexible pavement with shredded waste plastic and use of baggase in the SMA. There are three major types of asphalt surfacing, characterized by a mixture of bitumen and stone aggregate. These are Dense Graded asphalt, Stone Mastic Asphalt and Open Graded Asphalt. Stone mastic asphalt (SMA) is a stone-on-stone like skeletal structure of gap graded aggregate, bonded together by mastic, which actually is higher binder content, filler and fiber to reduce the binder drain. This structure improves the strength and the performance of SMA even higher than the dense graded and open graded asphalt mixtures. High percentage of binder content is important to ensure the durability and laying characteristics of SMA. SMA is best explained as two-component hot mix asphalt HMA which comprises a coarse aggregate skeleton derived from a gap-graded gradation and a high bitumen content mortar. Since 1960s, Stone Mastic Asphalt (SMA) pavement surfaces have been used successfully in Germany on heavily trafficked roads. In recognition of its excellent performance a national standard was set in Germany in 1984. Since then, because of its excellent performance characteristics, the use of SMA increased in popularity amongst the road authorities and asphalt industry. These two components combined address the concerns of both mixture stability and durability. SMA can provide an extremely high rut resistant and durable HMA mixture as compared with dense-graded asphalt mixture. This improvement is realized through the formation of a stone-to-stone aggregate skeleton in SMA. Based on many research reports and engineering case studies has on road surfaces can achieve better rut-resistance and durability. The SMA mixtures are designed to have high aggregate content, high asphalt content typically 5.5– 7% and high filler content. For ordinary SMA, the use of unmodified bitumen together with fibrous material as a drainage inhibitor is sufficient. Under high temperatures and heavy loading, a harder bitumen grade will also suffice. SMA is successfully used by many countries in the world as highly rut resistant bituminous course, both for binder (intermediate) and wearing course. The major difference between conventional mixes and SMA is in its structural skeleton .The SMA has high percent about 70-80 percent of coarse aggregate in the mix .This increases the interlocking of the aggregates and provides better stone to stone contact which serves as load carrying mechanism in SMA and hence provides better rut resistance and durability. On the other hand, conventional mixes contain about 40-60 percent coarse aggregate. They does have stone to stone contact, but it often means the larger grains essentially float in a matrix composed of smaller particles, filler and asphalt content .The stability of the mix is primarily controlled by the cohesion and internal friction of the matrix which supports the coarse aggregates .It can be followed from diagram of the grain size distribution of the mixes given below. The second difference lies in the binder content which lies between 5-6 percent for conventional mixes. Below this the mix becomes highly unstable. Above this percent will lead to abrupt drop of stability because the binder fills all the available voids and the extra binder makes the aggregates to float in binder matrix. The SMA uses very high percent of binder > 6.5 percent which is attributed to filling of more amount of voids present in it, due to high coarse aggregate skeleton. The high bitumen content contributes to the longevity of the pavements. SMA contains very high content of bitumen as compared to conventional mixes i.e.> 6.5 %. It is used to bind the aggregates, fillers and stabilizing additives. Different studies on SMA have been conducted by using different bitumen grades namely bitumen of grade 60/70. Heavy duty performance is usually enhanced with polymers and fibers, this helps to provide a thick aggregate coating to the aggregate, and the prevention of drain down during the transportation and placement. The type of PMB most commonly used with SMA is styrene, butadiene styrene (SBS) which is an elastomeric polymer type. 4. To reduce the need for drainage inhibitor. The strength and rut resistance of SMA is mostly depends upon on the aggregate mix is 100% crushed and with good shape (cubical) and strength limits for abrasion resistance and crushing strength. The sand used must be crushed sand as the internal friction contributes into the overall strength. The selection of a design aggregate structure is one of the major features of the SMA mixture design method. 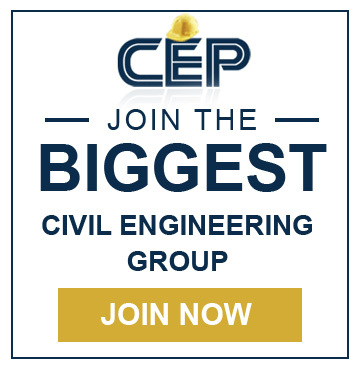 The procedures for the blended aggregates outlined in the methodology provided a direct ability to proportion aggregates by volume to achieve varying degrees of aggregate packing. In this study, five different design unit weights of the coarse aggregate selected to evaluate aggregate packing characteristics.RUW ranging from 80 to 90%. Fibers are being used in SMA as a stabilizing agent and to reduce the drain down significantly .Various fibers have been used in various studies showing very good results. Here we have tried to use bagasse fiber as a stabilizer in the mix. The fibers were collected locally from sugar mills. The fibers were having a thickness of approximately 1mm to 3mm which is determined from a rough estimation. 0.3% of fiber content by mass of total mix. b)	Increased film thickness on the aggregate by 30-40%. d)	Interlocking between the fibers and the aggregates which improves Strength. e)	Reduction in the possibility of drain down during transport and paving. 3. Reactivity of fine material. Volumetric properties of SMA mixtures, including asphalt content, voids in the total mix VTM , voids in the mineral aggregate VMA, voids in the coarse aggregate VCA and voids filled with asphalt VFA , are important parameters for durability and performance Asphalt Institute 1993. The volume or amount of asphalt binder is critical for durability of asphalt mixtures. There should be enough asphalt to provide adequate coating of the aggregates. The gradation of the aggregate determines the aggregate surface area, and together with asphalt content and absorption they determine the amount of free asphalt available to coat the aggregates. 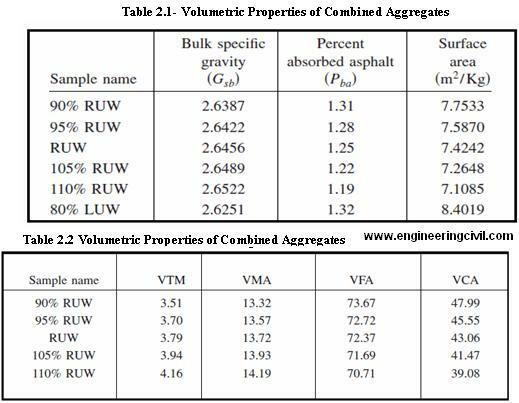 The volumetric properties of the combined aggregates and the asphalt mixtures are respectively tabulated Table no 3.2.1 & 3.2.2. 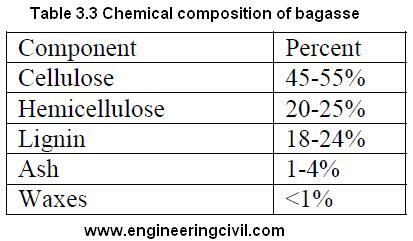 As shown in Table 3.2.2, the air voids of all compacted asphalt mixtures were found to fall within the range of 3–5%. These values, which are considered to be applicable for SMA mixtures, are in agreement with the values of 3–4% investigated by Bellin 1997 and Brown and Mallick 1994. The voids become very low 3% and the mortar of fine aggregate and bitumen acts as the pressure transmitting medium. India is the second largest producer of sugarcane in the world. it produces about 40 million tonnes of bagasse every year .Bagasse is a derived from sugarcane which is essentially a fibrous residue that remains after crushing the stalks, and contains short fibers. The Marshall test is used widely throughout the world to determine the stability and flow characteristics of bituminous mixes. In this method, the resistance to plastic deformation of a compacted cylindrical specimen of bituminous mixture is measured when the specimen is loaded diametrically till its failure First the Marshall specimens are prepared as per the given specifications . The physical properties (dimension, weight etc) were recorded. Before testing the code specifies that for Marshall Test the sample has to be placed in water bath for 30 (+_ 5 mins) at a temperature of about 60 C (-+ 1OC) . The time of testing between taking out of sample from water bath and testing should not exceed 30 secs .Load is applied vertically at a rate of 50 mm per minute on the sample at 60o C and its stability and flow value were recorded from the respective gauges . There are two major features of the Marshall method of mix design. The Marshall stability of the mix is defined as the maximum load carried by the specimen at a standard test temperature of 60°C. The flow value is the deformation that the test specimen undergoes during loadingupto the maximum load. Marshall Tests were conducted on various SMA specimens with and without fibers to obtain various Marshall Properties such as stability, flow, air voids, unit weight and various others properties. The results were used to determine the optimum binder content (OBC) with which further test were to be conducted. 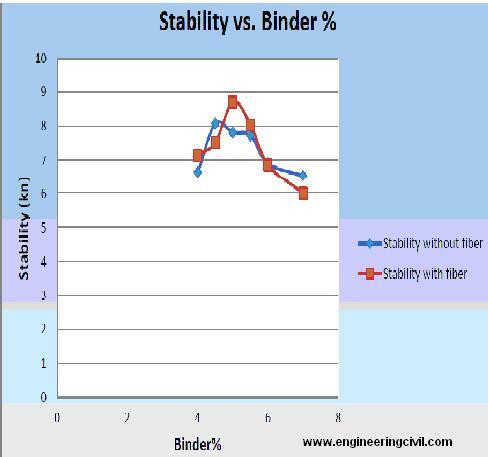 It is found from previous research that the stability value is low at lower binder content, then increases with increase in binder, attains maximum and finally reduces with further increase in binder. Drain down test using wire basket method as proposed in the NCHRP Report No. 425 was run on the mixes evaluated. In this test, the laboratory prepared loose mix was placed in a forced draft oven for 1 h at a pre-selected temperature. At the end of 1 h, the basket containing the sample is removed from the oven along with the plate and the mass of the plate was determined. The amount of increased weight of the plate is the amount of drain down of the mix. The oven temperature for performing the drain down test should be at the mixing temperature or the mixing temperature plus 15 C. Thus, an oven temperature of 1750 C was used for the test. As shown in above table the bulk density, flow in mm, stability increases up to particular limits with increase in percentage of steel and then decreases with increase in plastic percentage. And exact opposite for the void ratio & drain down of binder that is asphalt. Costs are always difficult to obtain and compare. Evidence to date in both the United States and Australia shows that the initial costs of SMA are 20-40% higher than conventional dense graded asphalt in place in road applications. To determine whether SMA is more cost effective than conventional dense graded asphalt surfacing, whole of life or annualized cash flow techniques are used. These techniques take into account the higher initial cost of SMA (20-40% higher than conventional dense graded asphalt in place in road applications) and the longer life expectancy of SMA. The increased initial costs of SMA compared to conventional dense graded asphalt result from the use of premium quality materials like higher bitumen content, use of fibers, increased quality control requirements and lower production rates due to increased mixing times. However, costs vary considerably with the size of the project, and also on haul distances. d)	A 30 year analysis period. 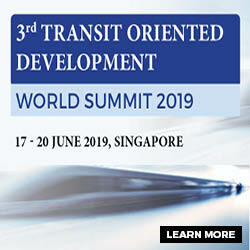 However, even considering the potential for increased costs, the Georgia Department of Transport (DOT) have found the use of SMA to be quite cost effective based on improved performance and the potential for increased service life. The Alaska DOT (NAPA, 1998), has found that the approximately 15% increase in SMA cost compared to conventional mixtures is more than offset by a 40% additional life from a reduction in rutting. •	High stability against permanent deformation (rutting) and high wear resistance. •	Reduced spray, reduced hydroplaning and reduced noise. •	Even though SMA has a higher cost than conventional dense mixes, approximately 20 to 25 percent, the advantages of longer life (decreased rutting and increased durability). •	Initial skid resistance may be low until the thick binder film is worn off the top of the surface by traffic. Stone Mastic Asphalt has proved superior on heavily trafficked highways all over the world during recent years. The use of SMA is increasing in popularity amongst road authorities and the asphalt industry. SMA’s longer service life gives it a better return on investment than most alternative materials even though the initial costs may be higher. Given that a life span increase of at least 5–10 years can be obtained and that additional advantages covered earlier are gained, it is clear that the choice of SMA can be a good investment. As a result of different climatic conditions in individual areas, there must be limited differences in mix specification relating to voids, binder content and binder stiffness. In wet and cold regions a lower void content and higher bitumen content is used whilst in drier and warmer regions the void content is generally higher and the binder content lower with a stiffer binder. However, aggregate grading should remain fairly consistent other than in exceptional cases such as wearing course for airport runways. To gain the maximum benefit from SMA it is important to ensure that the mixture is well designed and a high standard of production and laying is maintained. Stone mastic asphalt with or without polymer modified binder is one of the new and innovative materials being used by road authorities in their challenge to provide cost effective solutions for roads carrying a continuingly increasing volume of commercial vehicles. 1. Y.F.Qiu and K.M.Lum, “Design and Performance of Stone Mastic Asphalt” Methodology and design” in DECEMBER 1978,pp.956-963. 2. Rosli Hainin1, Wasid Farooq Reshi1, Hamed Niroumand, “Properties of Stone mastic Asphalt and Stone Mastic Asphalt Composition” in 2012, pp.49-56. 3. Bindu C.S & Dr.K.S.Beena, “Waste plastic as a stabilizing additive in Stone Mastic Asphalt”, “ International Journal of Engineering and Technology”,.in 2010, pp.379-387. 4. Abdelaziz Mahrez* and Mohamed Rehan Karim, “Fatigue characteristics of stone mastic asphalt mix”, “International Journal of the Physical Sciences”,Vol. 5(12), pp. 1841-1847. 5. Research & Development Division, “application of Stone Mastic Asphalt (SMA) and Polymer Modified Stone Mastic Asphalt (PMSMA)” in 2012. pp.1-5. 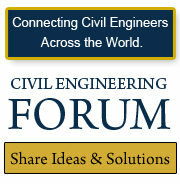 We at engineeringcivil.com are thankful to Prof. B. E. Gite and Mr.Momin Soyal Abjal for submitting their research paper on “Stone Mastic Asphalt” to us. We are sure this will be of great help to all those seeking more information on use of Stone Mastic Asphalt. How would high temperature affect the laying bituminous pavement?